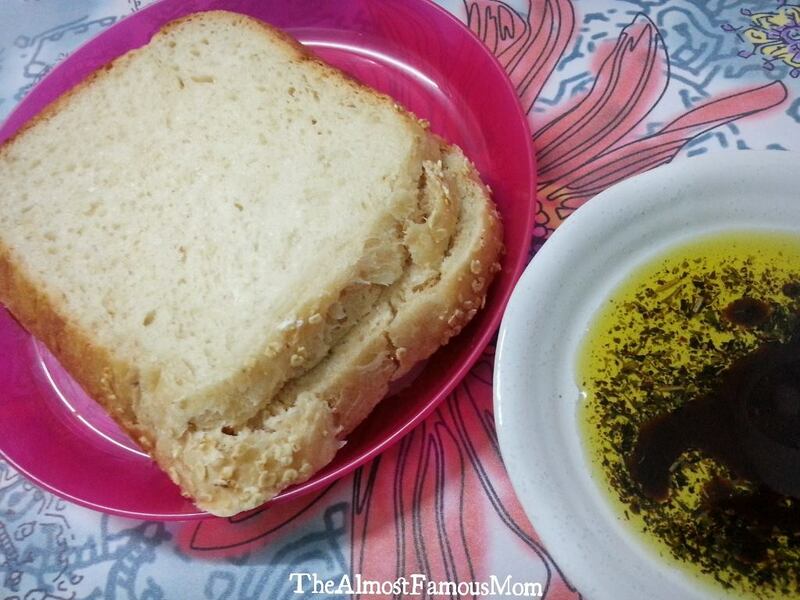 If there is one thing my family love, it's bread and I'm sure they will tell you nothing beats homemade bread! And definitely nothing compares to the freshly baked and warm loaf of bread...and it does freshen up my whole home, and add air of warmth and love during mealtime. 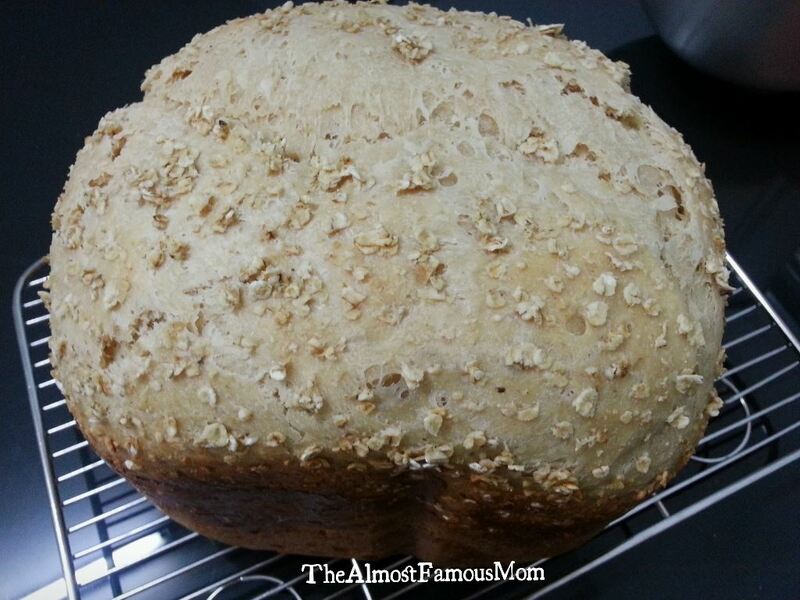 The heartiness and beauty of the loaf will make you ask for more. 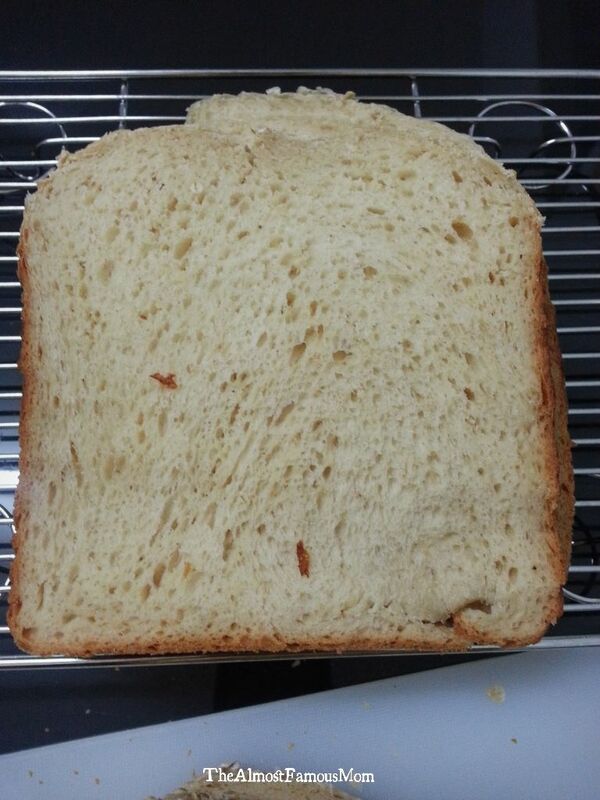 This is not any regular bread but it is a bread loaded with all the goodness of oat - now you know how healthy it is! 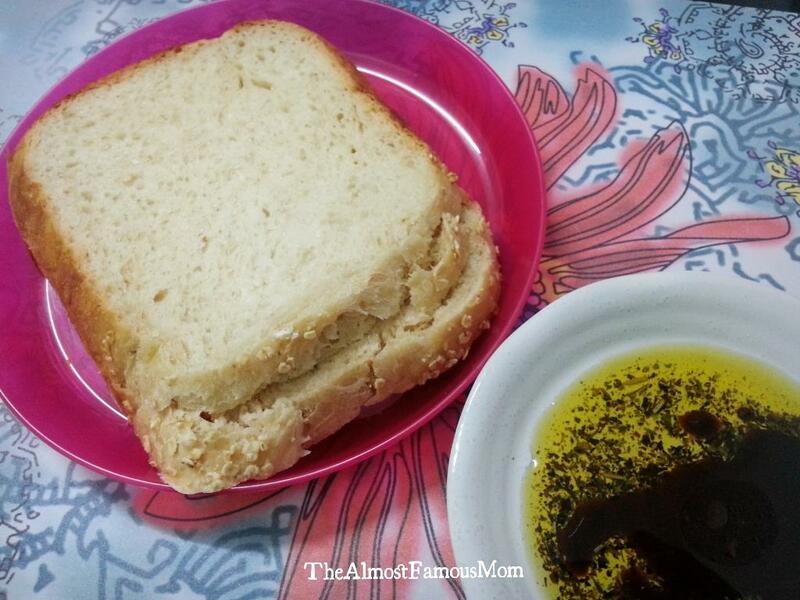 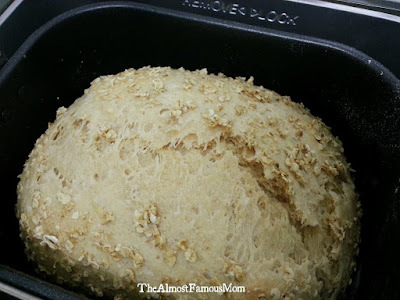 This bread is very light, moist and not dense even when it is baked with oat. 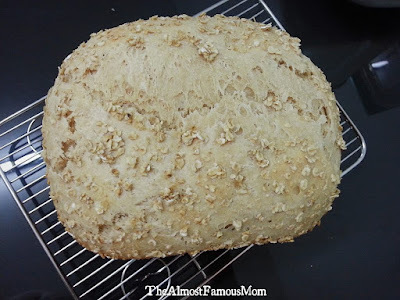 Perfect bread that goes well with stew or soup. 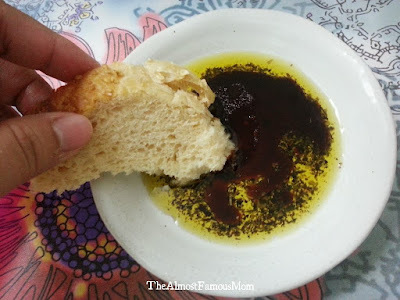 Or simply served with Olive Oil and Balsamic vinegar dip (...and my little darling loves the vinegar dip too - just like mommy!). 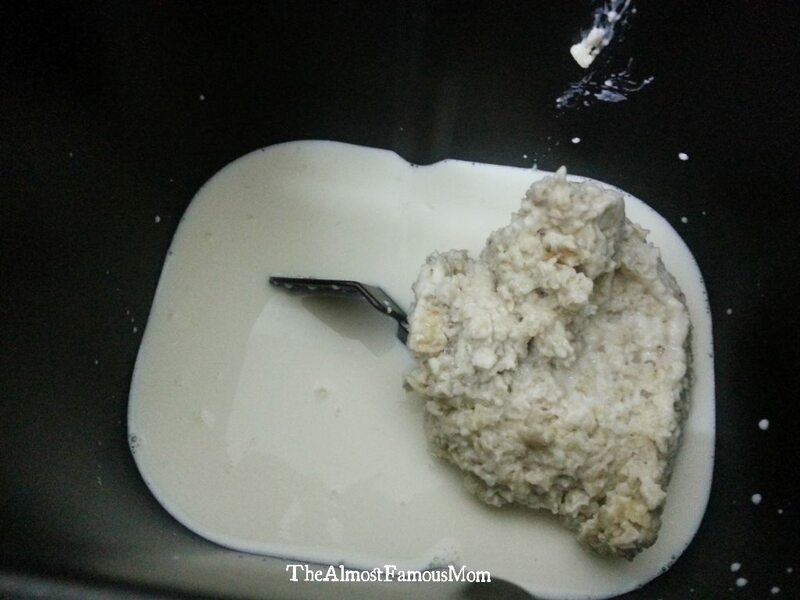 Firstly, prepare the oatmeal paste. 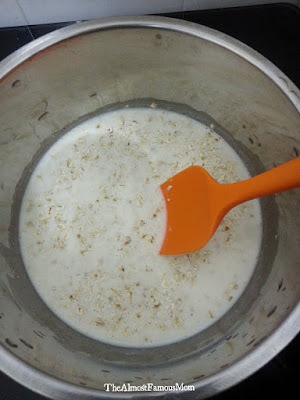 In a saucepan, add together oat and milk, and bring to boil over low heat until it reaches the oatmeal paste consistency. Remove from heat and set aside to let it cool. 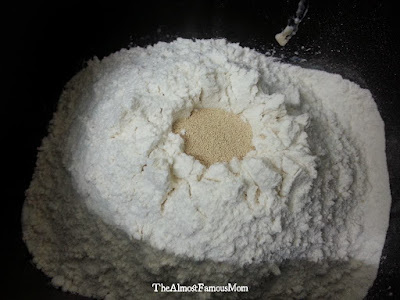 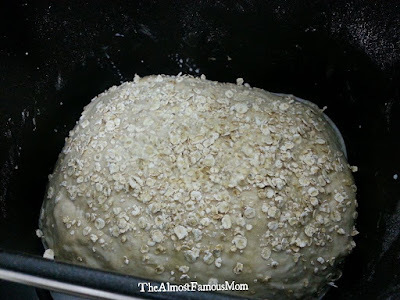 Place all the wet ingredients (milk, butter and oatmeal paste) then follow by the dry ingredients in the bread maker pan. 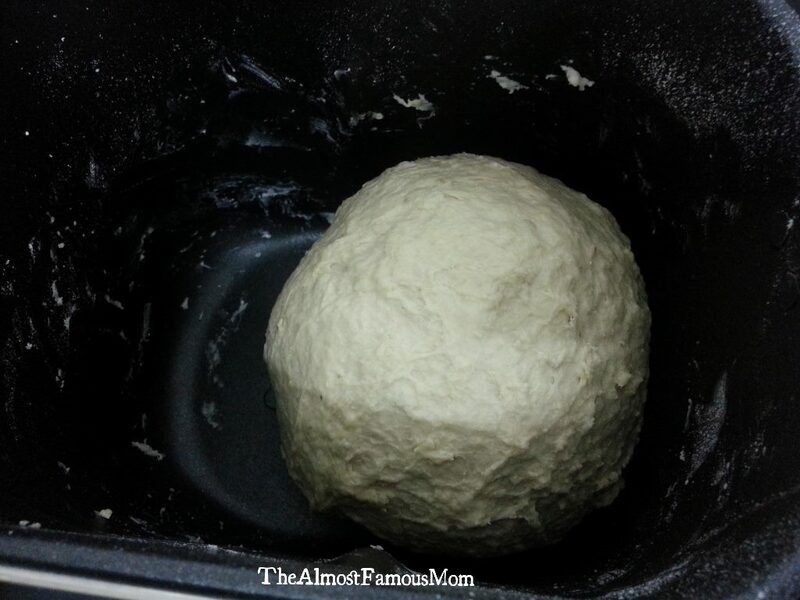 Set the machine for Basic setting and 2.0 lbs size , and set the Crust/Color to light. 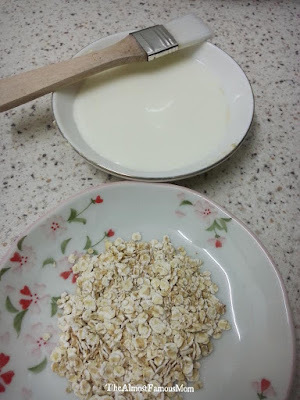 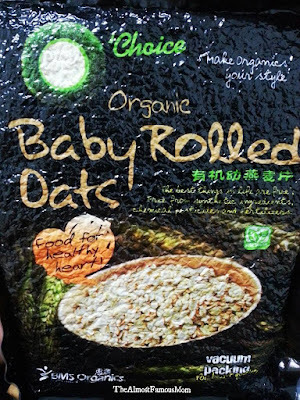 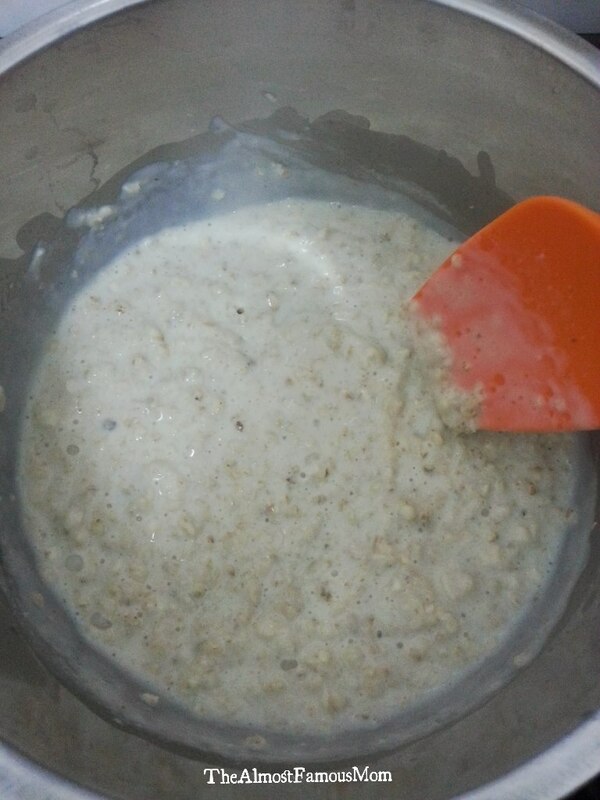 Just before the machine starts to bake, brush the top of the dough with some milk and sprinkle it with rolled oats.